Travelers visiting Melbourne come with the dream of exploring a number of eye-catching attractions. 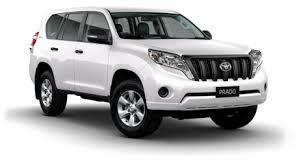 In order to travel around the city at your own pace, you can opt for car rentals in Melbourne. Whether you are planning for a road trip or want to visit specific destinations, hiring a car from AUZ Rental Cars lets you exploring the city at your own pace. The tourist destinations in Melbourne are not just appealing to eyes but are also appealing to the mind, heart and soul. When you drive your car outside the city limit, you will be able to access the roads that lead you to the wonders of the city. The roads of Melbourne are wide, amazing, and complemented by fresh and clean air. So, planning for a road trip in Melbourne can be exciting as it is fully packed with wonderful offerings. Once you have landed at the Melbourne airport, the chauffeur from AUZ Rental Cars pick you up from the airport and take you straight to your intended destination. Of course, you can also opt for DIY car hire, if you want to drive and explore the city yourself. During your road trip, you can drive to Degraves Street which is known for cozy cafes that serve you a variety of aromatic coffee. You are sure to have a refreshing feel after tasting a cup of coffee at any café. After sipping a cup of coffee, you can head to the Melbourne Cricket Ground to watch a cricket or a football game. You will feel the testosterone shooting up on seeing the Aussies playing in the huge ground. You can take a quick drive to the Royal Botanical Garden with car rental in Melbourne. This garden is spread around 4 kilometer and has a well manicured lush garden. Take your car hire in Melbourne to explore the old structures and some of the magical historical places to know the history of this city. AUZ Rental Cars offers the best deals on car rentals not just for a pleasure trip but also for business trip and airport transfer. Whether you are visiting Melbourne for sightseeing or for business purposes, get in touch with AUZ Rental Cars for amazing deals on car hire.